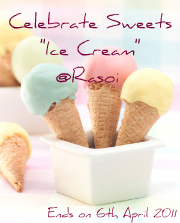 You get a variety of flavors in the store but home-made ice-cream has its own yummy taste .Homemade ice cream is great for parties, gifts to friends, or just as a tasty desert for everyone.. 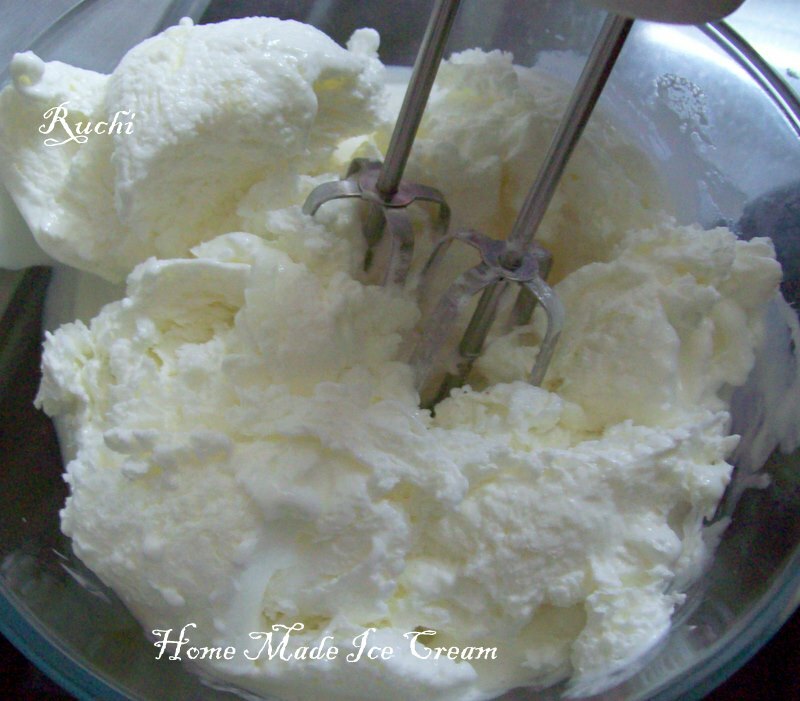 This is because commercial ice cream uses lots of artificial ingredients and preservatives, while homemade ice cream only uses fresh ingredients. 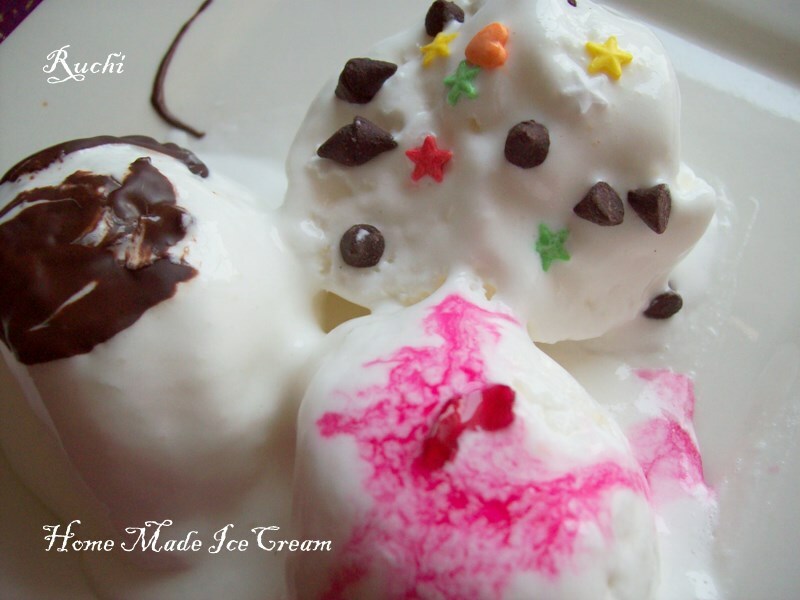 Homemade ice-cream is very easy to make and only requires 5 or 6 ingredients. It might be that much easy to prepare at home. I always prepare ice creams at home. Yesterday I prepared vanilla ice-cream . The matching up of ingredients to create this flavor was very spontaneous, added with the smooth sweetness of the rose sorbets and chocolate ganache ..Each spoon brought a smile on my children face, and I believe that is one of the best feelings :). 1. Keep the Milk boiling. 2.Continue to simmer on high heat, stirring continuously till reduced to 2 cups. 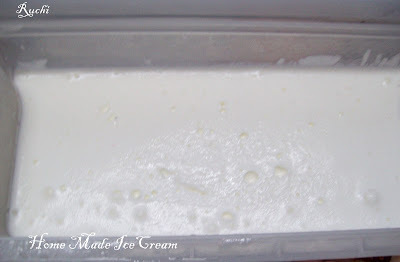 4.Add it to 1 cup warm milk and mix to a smooth paste. 5.Bring the remaining one cup milk to a boil. 7. Mix the 2 chemicals CMC and GMS with little milk in a cup. 8. Pour this into the boiling milk mixture. 9. Stir well and cook till thick, stirring constantly. 10. Remove Milk from heat. 11. Cool this mix and pour into an ice cream box. Increase temperature of freezer. Freeze the mix. 15. Now add vanilla essence. Also mix few drops of food coloring. 17.After 1-2 hrs check if ice cream has crystals. If so, churn it again and beat it with an eggbeater or mixer for 1 minute. 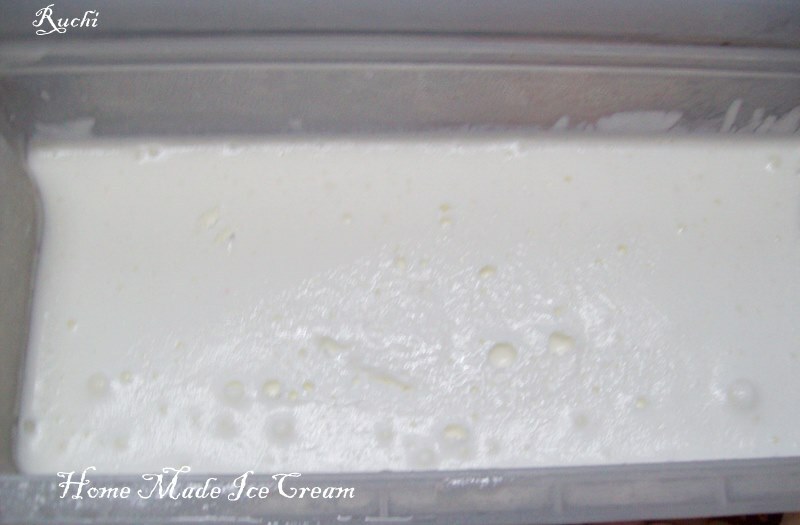 18.Transfer the mixture to an airtight container and put in the freezer and increase the temperature till set. 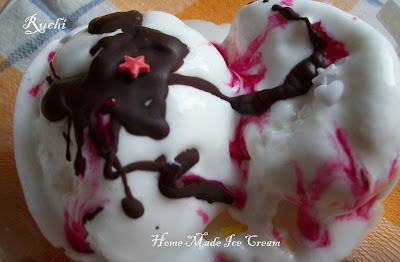 The same procedure can be followed to make all other flavors of ice-cream as well. You can make it with banana/mango/ any fruit of your choice. Just reduce the amount of sugar depending on the sweetness of the fruit used. * The refrigerator must be defrosted before putting in the ice-cream mixture. * If corn-flour is more, ice-cream will be sticky. * Lightness in an ice-cream is achieved with air which passes into it, as such the beating must be done toughly. * When ice-cream is semi set,it should be beaten well so that it is light ,smooth and fluffy. Then add lightly beaten cream and return it to the freezer. 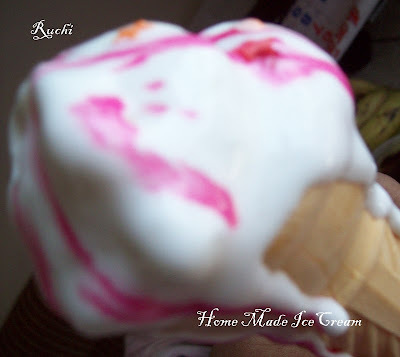 Yummmmmmmmmmmmmmmmmmmy Ice cream, and the tips are really helpful. Yesterday, I too posted the homemade chocolate ice cream. hey why can't you send this to the event Celebrate sweets ~Ice cream"
Icecream looks soo smooth and wonderful..
Looks yummy and delectable! Looks so smooth and creamy! Luscious n creamy..homemade is always the best! Is dr any alternative to whip cream?